Late-winter. That special time of the year when cold is relative and snow has covered the ground since early December. In my Rocky Mountain hamlet, it’s been a great winter to be a skier, but not so great for those who prefer their water in liquid form. Sure, you could wrestle yourself into some six mil rubber, slip your hands into pogies and brave the winter water for a couple of hours. But for those paddlers less interested in sufferfests, we suggest destination paddling. With spring break on the horizon, many of you have a week tailor-made for escaping winter’s last desperate clutch. For the rest of us non-spring-breakers, well, we’ll just have to “sacrifice” and sneak away. In a belated nod to last year’s 100th Anniversary of the National Park Service, we’ve rounded up five National Parks for winter paddling destinations that will leave you refreshed and ready for whatever else winter can toss your way. So, leave your wetsuit in the closet, and grab your camping gear, some sunscreen and your swimsuit and head south. 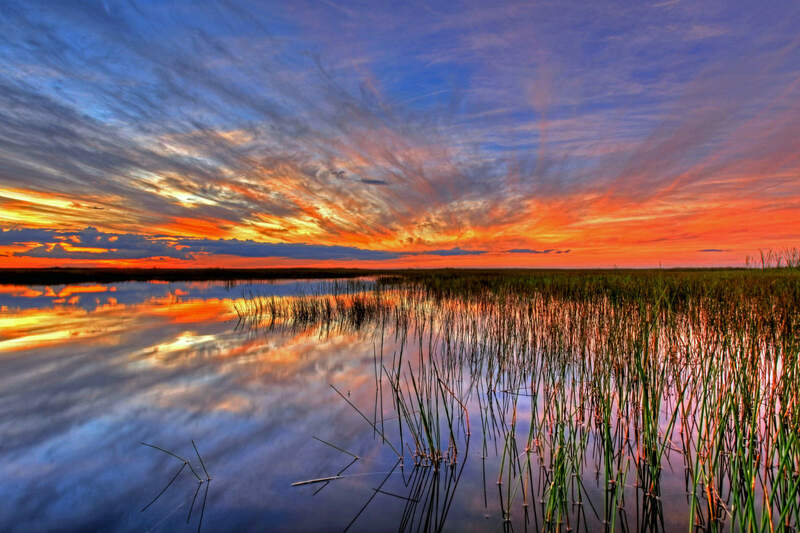 Everglades National Park is one of the crown jewels of the park system. Winter is peak season, particularly December through March, well after hurricane season and well before biting insects and scorching heat drive away all but the truly masochistic. The Everglades is a mix of ecosystems, but water is the dominant feature, making it a classic destination for paddlers. With 1.5 million acres, it can be daunting to figure out where and how to paddle safely, especially if you’re planning to stand-up paddleboard. 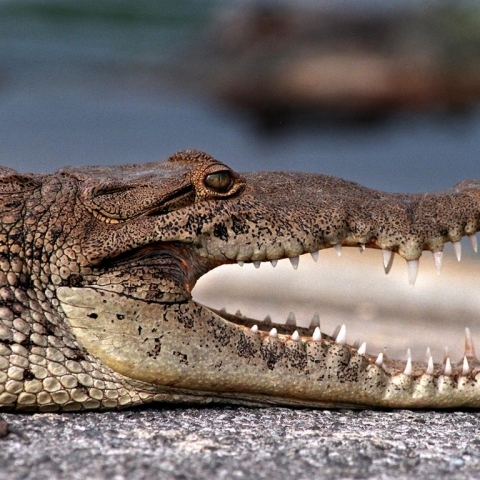 The Everglades is also home to some of the most terrifying predators in the country—from exotic (and horribly invasive) giant anacondas and Burmese pythons to alligators and crocodiles. Not to mention the more than 40 species of mosquitoes (only 12 or so bite), copperheads, rattlesnakes and the elusive Florida panther—the Everglades can be intimidating. Fortunately, all of these critters (save the mosquitoes) are more afraid of you than you are of them, and the acreage can be tackled with thought-out plans. With its maze of islands, swamps, rivers and lakes, strong navigational skills are a must. Knowledge of tides, good paper and digital nautical charts and fresh water are key safety requirements for any paddler in any craft. Car access into the park is somewhat limited. Everglades City, in the northwest corner, is one of the most popular entry points. And for good reason: It’s home to the Gulf Coast Visitor Center and located on the northern edge of the Marjory Stoneman Douglas Wilderness Area, which covers most of the park. It’s also a terminus of the epic 99-mile Wilderness Waterway, a marked route that runs from “Gulf Coast” (aka Everglades City) to Flamingo, the Park’s other main access point on its southern end. The signed Waterway slices through mangrove tunnels, across protected bays and along barely-moving rivers, offering ample camping opportunities. 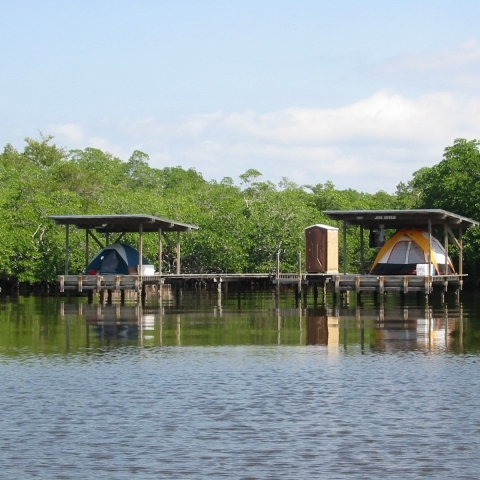 “Ground” tent sites are set along the route, but for a truly unique experience, consider camping on the Everglades’s famous chickees (raised platforms for camping above water). Stakes and nails aren’t allowed on chickees, so a free-standing tent is required. The official route is typically thru-paddled in eight or so days, requires a shuttle, and should be fully self-supported (plan on hauling 10 gallons of water), but it offers an exclusive perspective of the Everglades. Paddlers with less time or less interest in a self-supported thru-paddle can basecamp in either Gulf Coast or Flamingo and plan virtually limitless itineraries from either location. Each provides access to the Park’s infamous Ten Thousand Islands which stretch along the west side of the Wilderness Waterway. The Park’s website offers excellent information about paddle routes and rules. Officials encourage paddlers new to the Everglades to “ease into it with a one or two night trip” and offer a few suggested routes. Backcountry camping permits are needed to camp anywhere within the Park and you must register at the visitor centers prior to departure. If the idea of paddling in Florida’s semi-tropical climate is appealing, but you aren’t interested in the Everglades proper, Biscayne National Park, just an hour from Miami, is an excellent option. Most of the park, including its two campgrounds, is virtually inaccessible without a boat. Even better, the water is so shallow throughout that canoes, kayaks and paddleboards are the only craft that can navigate many of its best sites. 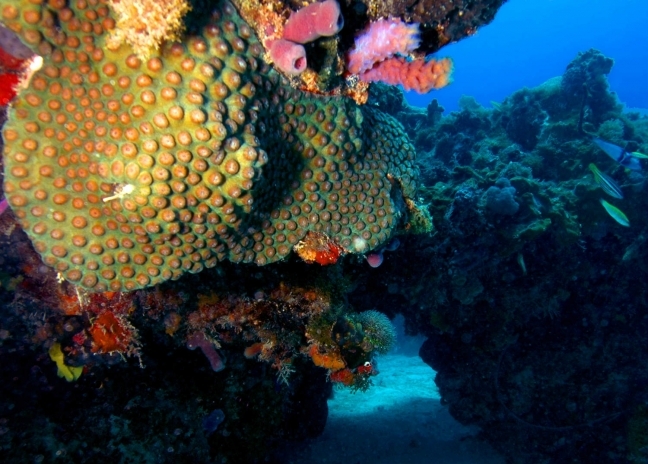 Underwater features are one of the main draws—bring a snorkel and you can explore shipwrecks along the Maritime Heritage Trail. 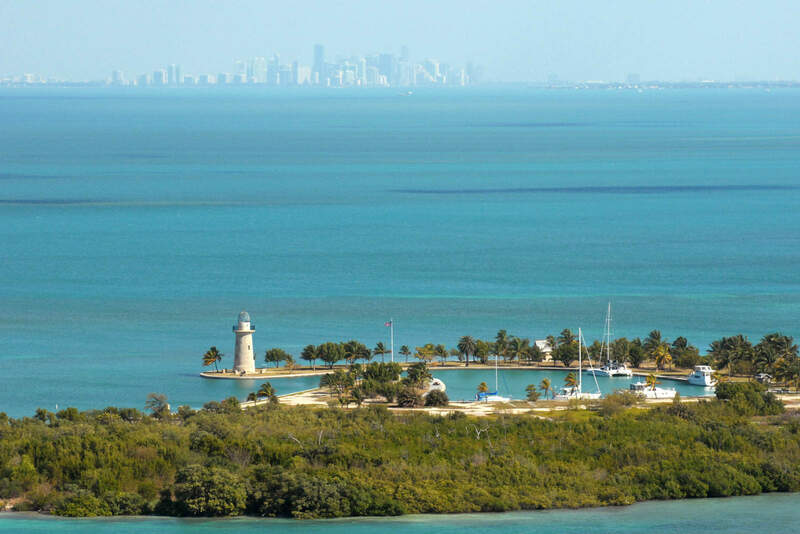 First-come, first-served camping is offered on Elliot Key and Boca Chita Key, which sit roughly eight miles across Biscayne Bay and are only accessible by boat. Either one serves as a great basecamp for exploring this watery paradise. For visitors who don’t want to paddle eight miles to sleep in a tent, the park abuts sprawling South Florida, so there are more lodging options than you can shake a paddle at. Homestead, Florida, about 20 minutes away, is the closest town. But if nightlife is your bag, stay in Miami and head over to Biscayne for the day. Easy paddles out of the Dante Fascell Visitor Center poke along mangrove forests and offer glimpses of birds, fish and other wildlife. The Park’s website offers a half dozen paddle routes that detail anything from short three-mile forays into the mangroves to longer 15-mile tours. Given that more than 95% of the Park’s 173,000 acres are water and that it’s easily accessible from Miami, Biscayne should be on every paddler’s short list. Just don’t forget your snorkel. 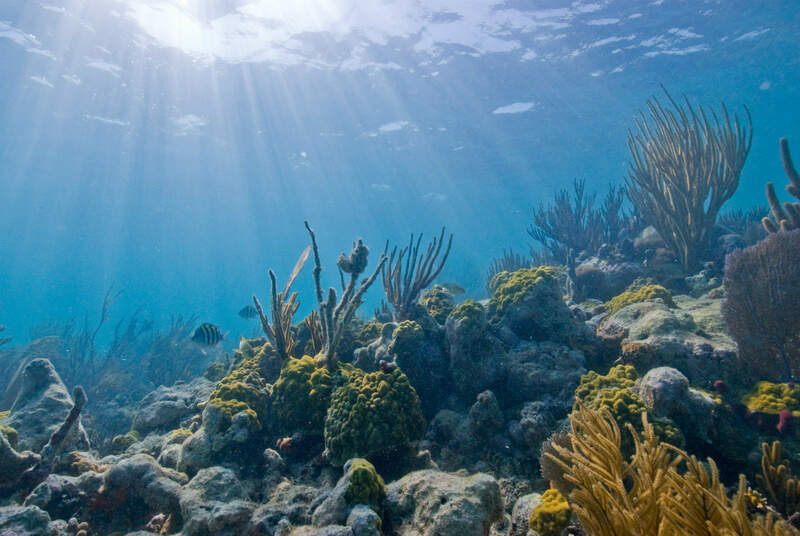 Seventy-odd miles west of Key West, Florida sits Dry Tortugas National Park, an archipelago of seven islands that make up the western most edge of the Florida Keys. Dry Tortugas isn’t easy to get to, nor particularly convenient to explore, but if snorkeling technicolor coral reefs and camping beneath more stars than you’ve ever seen are on your bucket list, Dry Tortugas is worth the hassle. Dry Tortugas is known primarily for Fort Jefferson, a hulking brick structure built on Garden Key, the park’s largest island, in the 19th century. Despite being unfinished, Fort Jefferson is the largest brick masonry structure in the Western Hemisphere and visitors can take guided or self-guided tours throughout its 16-million-brick structure. 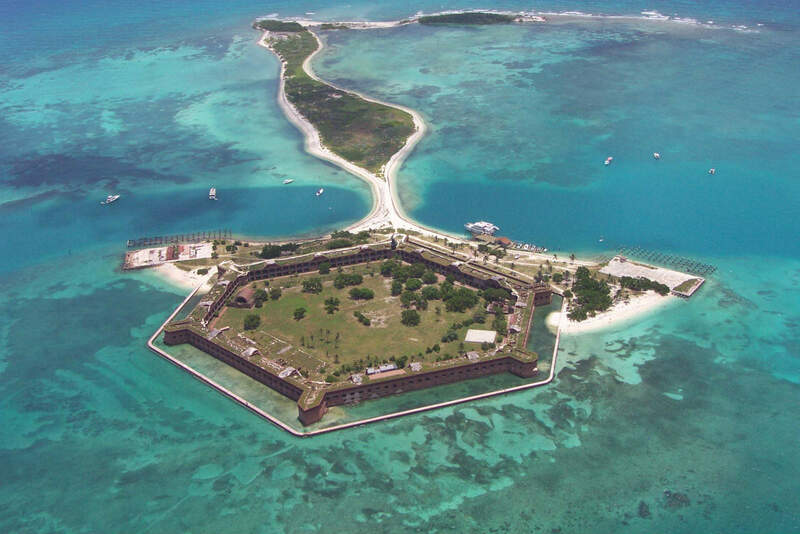 But the real highlights of Dry Tortugas and its neighboring islands are under the water. 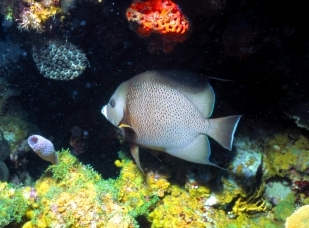 Tropical fish, colorful corals, shipwrecks and even legend of sunken treasure draw tourists to Dry Tortugas. 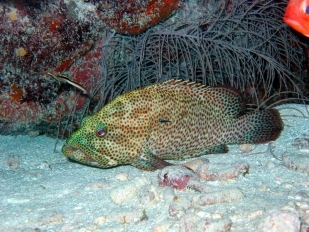 The reefs and corals are considered the least disturbed in the country and snorkeling and scuba diving are major attractions. Getting to the Park isn’t easy. Most visitors take the concessionaire-operated ferry. The ferry company runs a pretty tight ship. Here’s a smattering of the rules: You can bring a kayak or paddleboard onto the ferry, but only under a certain length. You can’t bring liquid fuel of any kind, so learn to cook off of charcoal briquettes or sterno before you go. You have to bring all your water; there’s no potable water on the island. Camping is restricted to eight first-come, first-serve sites within the Garden Key Campground. Fortunately, there’s an overflow area and park officials won’t deny someone who is prepared to camp even if the campground is full. Parties of 10-40 can reserve a spot. The Park requires all paddlers to check in at the visitor center on Fort Jefferson to get a boating permit and to carry a PFD, sound device and flashlight while on the water. From your base on Garden Key, you can explore both Bush Key and Long Key in a few hours of paddling. In the spring, these islands host thousands of nesting birds, so bring binoculars and a field guide. Paddlers looking to test their open water skills can make the three-mile (one-way) crossing to Loggerhead Key or the two-mile paddle to Hospital Key. Loggerhead boasts a lighthouse and can be traversed when migrating birds aren’t present. Wherever you go, wind and currents are no joke; be prepared and ready for stout paddling. With fewer than 60,000 annual visitors, a trip to Dry Tortugas is likely to be relaxing and crowd-free. Visitation peaks in the winter, but the Park sees pretty consistent temperatures year round with summer highs in the upper 90s and winter lows in the mid-60s. Bird watching is best in April, so the Park can be extra busy that time of year. 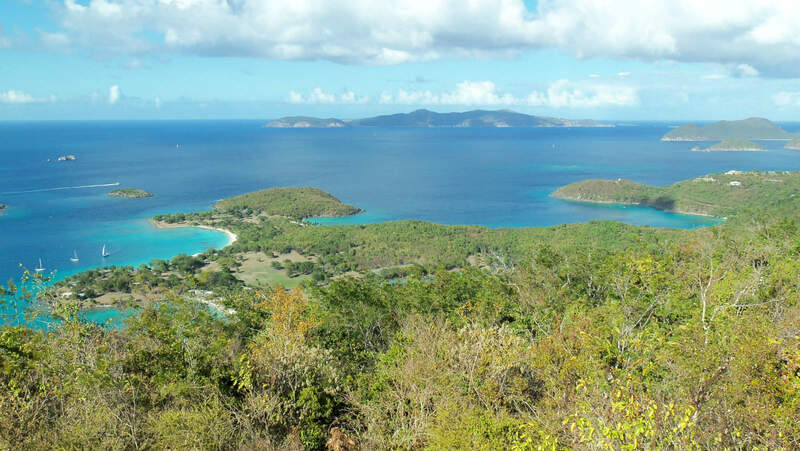 If Caribbean Islands are on your life list, St. John Island in the U.S. Virgin Islands is pretty amazing. So amazing that 70 percent of it is a National Park. The island sits roughly 85 miles east of San Juan, Puerto Rico, so it’s not the easiest place to access. 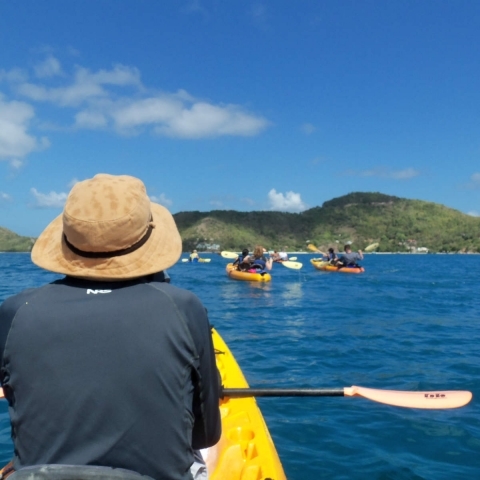 Paddlers must fly to touristy St. Thomas and hop on the ferry over to St. John. Paddling options are practically limitless, but camping is, with the only National Park campground located in Cinnamon Bay on St. John’s north shore. There are big resorts, small eco lodges and a few private campgrounds however, so finding a place to rest after paddling your face off shouldn’t be a challenge. Depending on wind, weather and your location, paddling options vary from surfing waves to downwinding to paddling in protected bays and coves. 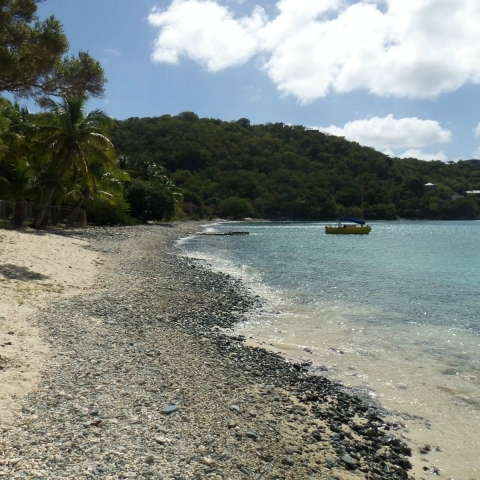 If you’re camping or staying at Cinnamon Bay, you’ll have easy access to Maho and Francis Bays, both of which offer mellow, protected paddling. Hurricane Hole, so named because it’s where sailors anchored their boats during the area’s frequent storms, is another great spot to explore. It’s a bit farther afield and offers more protected options. The Virgin Islands are known for sailing and sailors need wind. When the winter winds blow from the north, consider a north shore downwinder, leaving from Cruz Bay and paddling 10 miles to Haulover Bay. Or if it’s blowing from the south/southeast in the summer and fall, you can ride bumps from Saltpond Bay to Cruz Bay. St. John isn’t a surf destination, but it is an island surrounded by coral reefs, so if the swell is up, you can catch waves. Reef Bay is a good spot for summer swell. Stay left (east) to avoid the main break. If there’s a north/northwest swell, Cinnamon Bay can kick up some fun beginner and kid-friendly waves. It’s going to be busy there, so be respectful, safety minded, and yield to the locals’ lineup. Farther off the beaten path, surfers can find waves at Fish Bay (southern swell) and Johnsons Reef (northern swell). Chat with locals and read the swell report to determine the best spot. Not a saltwater paddler? Not into the Caribbean? No problem. Big Bend National Park is nowhere near an ocean. 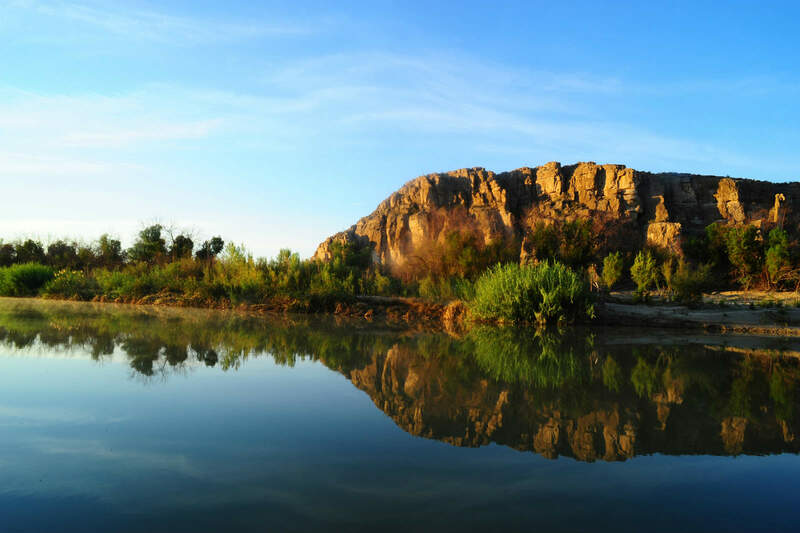 Much like the other parks on this list, Big Bend isn’t that easy to get to, but that shouldn’t stop you from exploring this incredible paddling destination. 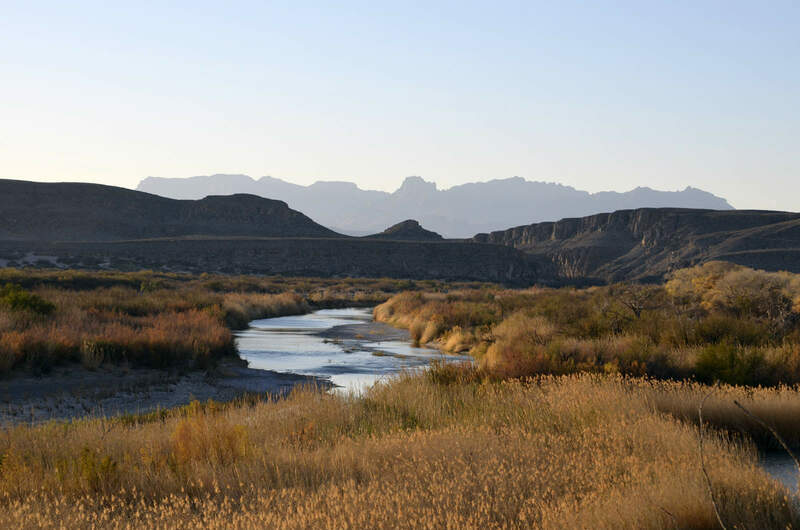 This expansive mix of deserts, mountains and canyons stretches nearly 800,000 acres across South Texas. The Rio Grande forms not just the southern border of the park, but the southern border of the United States as well. In fact, the middle of the deepest part of the river is technically the borderline. Paddlers are required to come ashore on the American side, except in situations where safety is threatened, like bailing a capsized boat, repacking after a flip, or seeking shade if overheating. The park offers everything from half-day paddles to multi-day (even multi-week) wilderness trips. All river trips, day or overnight, require a permit (excluding tubing) and camping requires a backcountry permit. There are other specific paddling regulations regarding fire pans, waste disposal, PFDs, etc. so be sure to read the regs before you load your car or pack your gear for the plane. 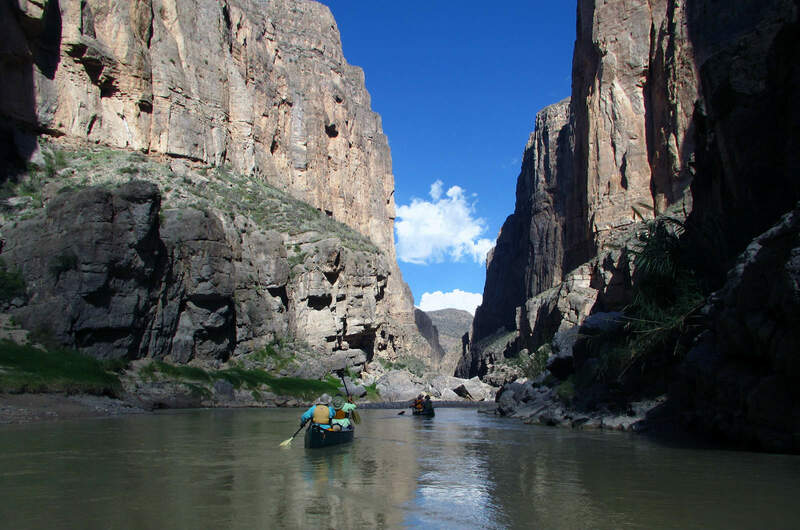 Beginner paddlers or paddlers with limited time should start in the Santa Elena Canyon on the Park’s western edge. Simple boomerang trips (paddle upstream, float back down) are easy to do here, especially when water levels are low. Santa Elena’s 1,500-foot high canyon walls offer shade and dramatic scenery, a welcome distraction from the actual act of paddling upstream. Paddlers with a bit more time and with a shuttle (shuttles can be arranged through local outfitters) can put in at Lajitas and float 12 or so miles to the Santa Elena River Access Point or continue another eight miles to the Castolon Visitor Center. The paddling gets a bit more technical as you push farther into the canyon, but can be safely navigated by most. For paddlers wanting to slip into the current and float away from civilization, the rest of the Rio Grande offers isolation, solitude and immense beauty. The park’s website details three sections of the Rio Grande canyon ideal for paddling, but there are other stretches that intrepid and experienced paddlers can try. This is wild country; roads are bumpy, rocky and likely not drivable without high-clearance and four-wheel drive, so book a shuttle or do your research. The Rio Grande is notoriously dewatered—both in terms of potable and floatable—bring a lot to drink and check local conditions before you launch. Mariscal Canyon is a solid beginner-intermediate’s trip. Put-in at Talley, a two-hour drive from Panther Junction, and take out at Solis, roughly 10 miles downriver. Take your time and do it as an overnight or push through in a day. There are a few class II and III rapids at certain levels, so the trip offers some excitement without being too dangerous. The most exciting part will likely be navigating the park’s back roads to get to the put-in and take-out. Up the ante with the 33-mile Boquillas Canyon section, which offers easy paddling and relatively easy access. Put-in at the Rio Grande Village Visitor Center (or just upstream at Daniels Ranch if so desired) and take out at a private ranch just after the La Linda bridge. You have to call the private Heath Ranch to get permission to take out, but the number is on the Park’s website. Spend three or four days leisurely floating beneath 1,200-foot tall cliffs. The occasional mellow Class II rapid will make sure you don’t fall asleep, paddle in hand. If you’re ready for a grand adventure, the Lower Canyons of the Rio Grande offer some of the most wild and remote paddling in the country if not the world. An 83-mile paddle starts at Heath Ranch and ends at Dryden Crossing (permission is needed for both put-in and take-out). For the most ambitious paddlers continue to the town of Langtry for 137 miles of wild river paddling, plus a mandatory portage around a weir at Foster’s Ranch. Technically, this section is outside of the Park, but this stretch of the Rio Grande is managed as a Wild and Scenic River by the Park Service, so the public is allowed to float, but still need a permit and to fill out a waiver of liability form. With a couple months of winter and a shoulder season that’s anything but warm, there’s still plenty of time to plan a trip to one of these incredible paddling destinations. This is just a smattering; the options are endless. Crack a beer, spend an evening perusing the National Park Service’s websites and pull out the credit card. Can’t afford a week off? Just poking around each of the Park’s websites offers a brief, virtual respite from the snow, freezing rain and below-freezing temperatures outside your door. Editor’s note: St. John photos courtesy of Alex Boughamer. All other photos courtesy of the National Parks Service.